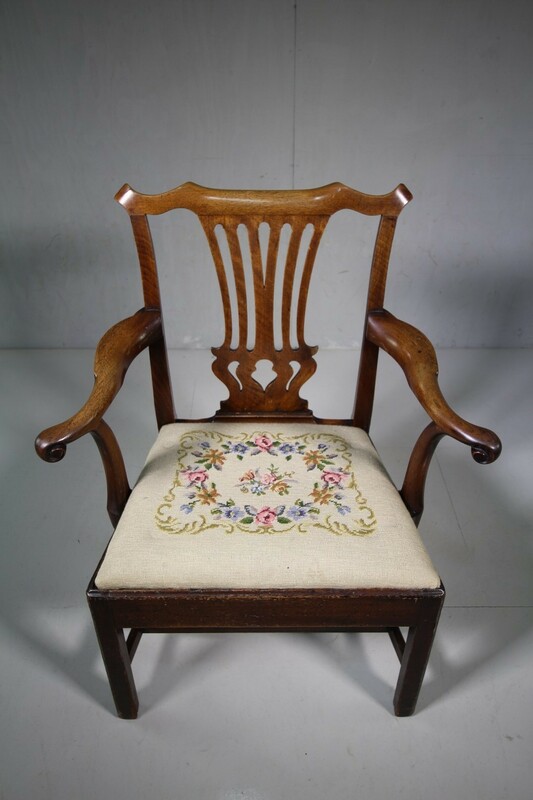 A very good quality, shapely antique open armchair in mahogany with a needle work drop in seat pad. 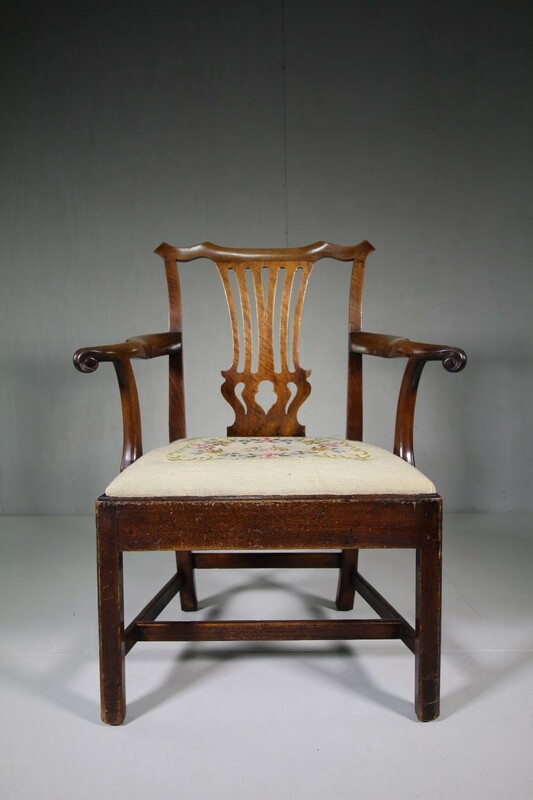 A very large, ample size, perfect to use as a carver dining armchair or desk / library chair. 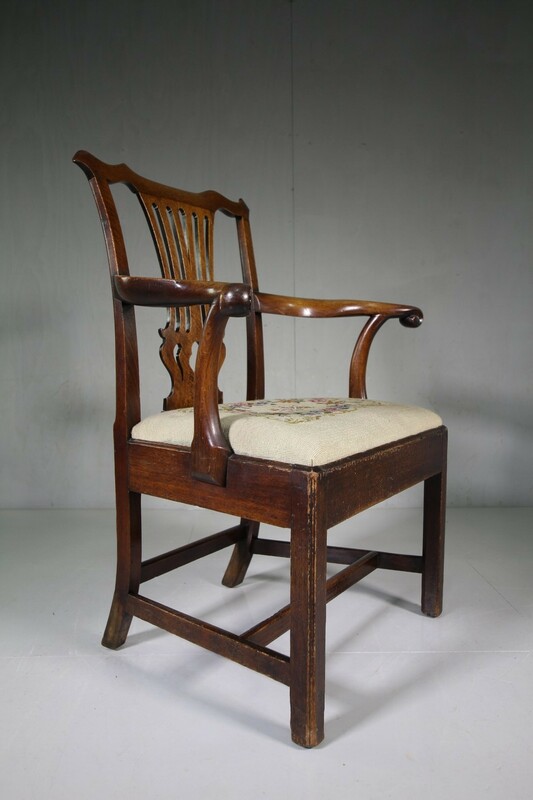 In very good condition, the open arms are finished with beautiful carved scroll work work and the back rest features a fretted back splat. 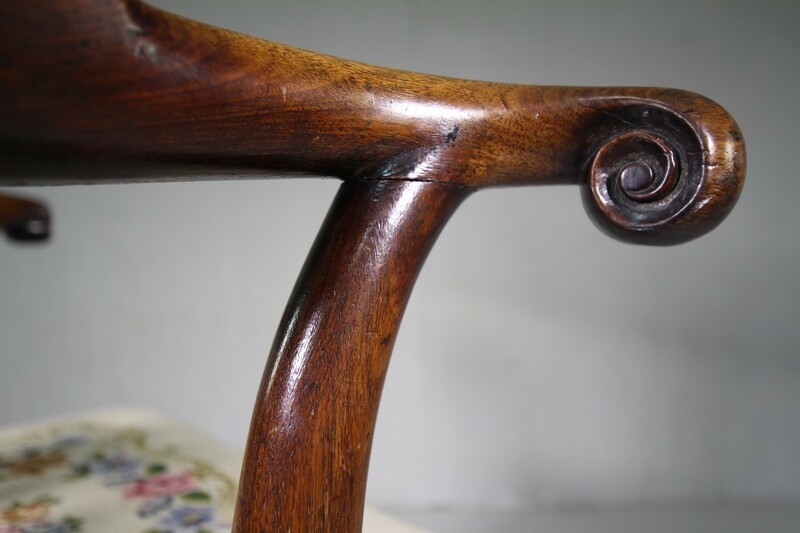 English antique dating from around 1830. 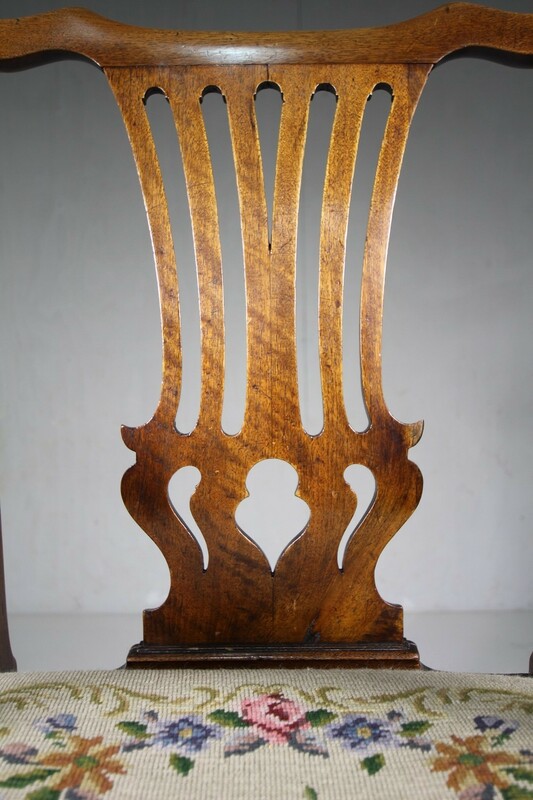 Additional Information: The seat is 48cm high.